The Editor-in-Chief. 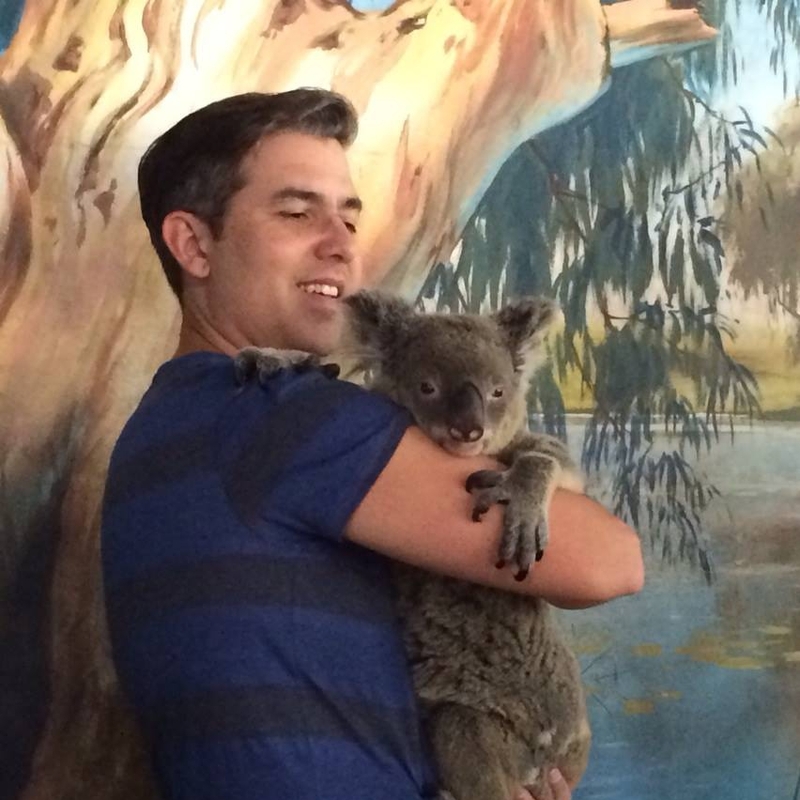 With a Koala. Australia is awesome. If you are in Cairns, for ATBC 2014, be sure to stop me in the hallway and introduce yourself! Many of our Subject Editors will be there as well, including Jaboury Ghazoul, Chris Barolotto, Vojtech Novotny, Pieter Zuidema, Terry McGlynn, Ferry Slik, Catherine Yule, Kate Parr, David Bickford, and Robert Bagchi. We’re here to answer questions about the journal, give you feedback on potential submissions, and hear your suggestions on improving the journal. If you think you might want to join us as a Subject Editor or have someone you’d like to nominate for the Editorial Board, please be sure to pass that along as well.